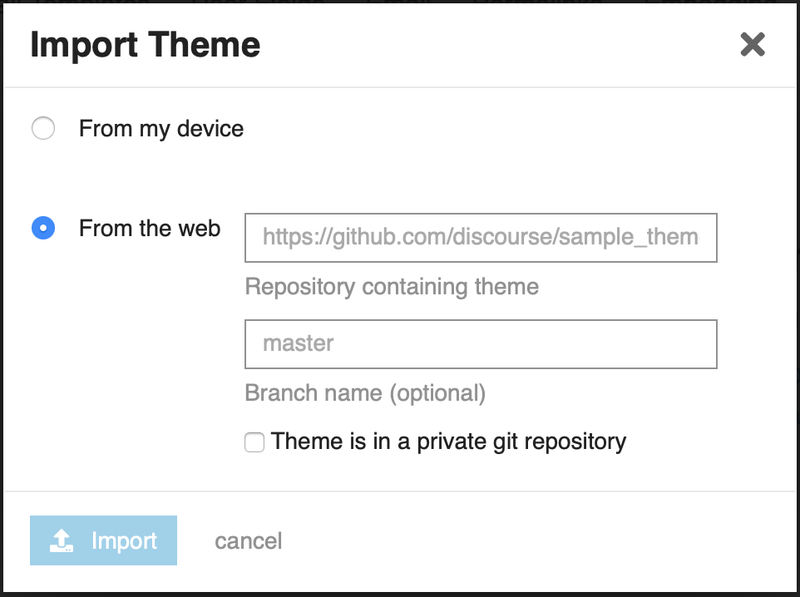 You can then import theme files from your device or via a theme repository link. The repository link for each theme is provided by the author on the theme topic. There are also options to import from a specific branch and to specify whether the repository is private. 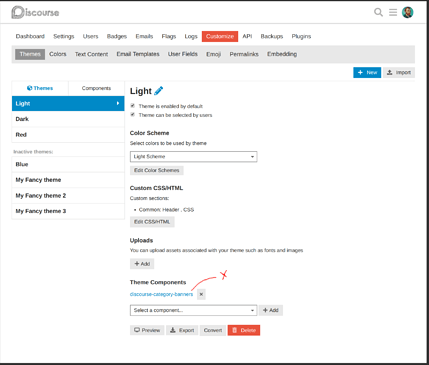 If you have more than one user-selectable themes, you would need to add the component to all of them like we did above. Sometimes the themes or components you install will have updates. 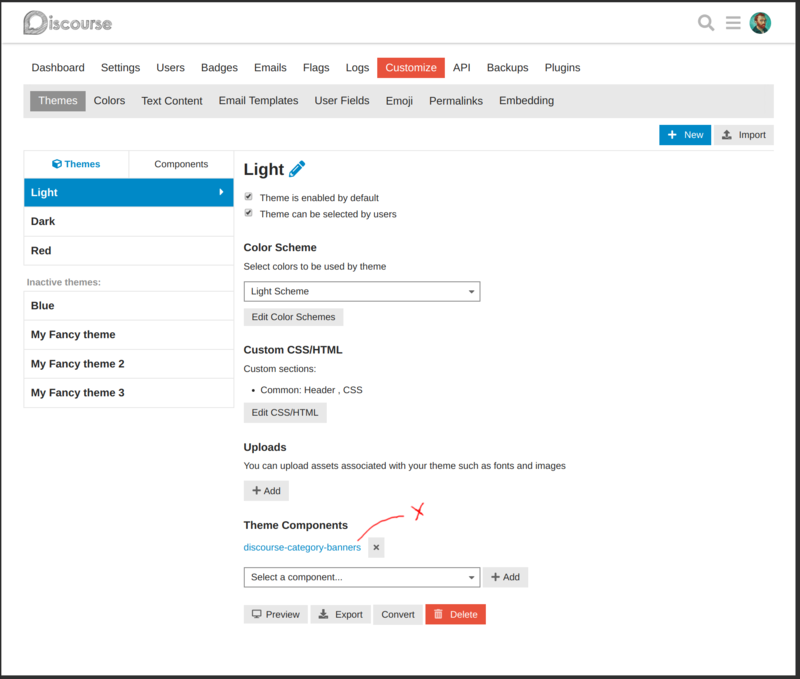 This should cover everything you need to install a theme or theme component. 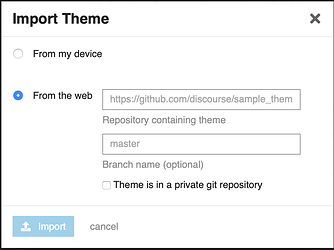 If you'd like to learn more about the Discourse theme system, we have a more detailed guide that should provide you with a general overview with more details. How do I get this design? 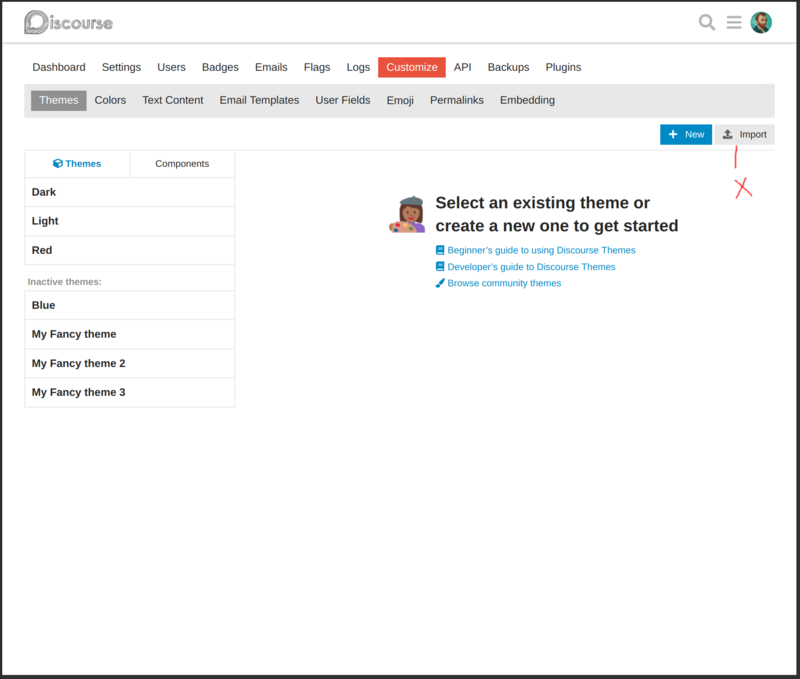 After adding a theme component today, I initially forgot to add it to my default theme and wondered why it wasn’t active. Does anyone else make this mistake? 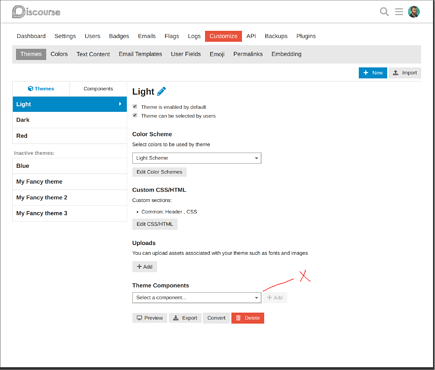 If it’s a common problem, perhaps Discourse could prompt when you install a theme component: “would you like to add this component to your theme?”, and clicking “yes” will perform this step for you. 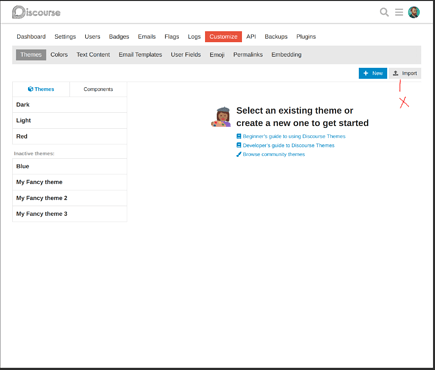 This gets particularly painful here on meta where we have 10 user selectable themes. 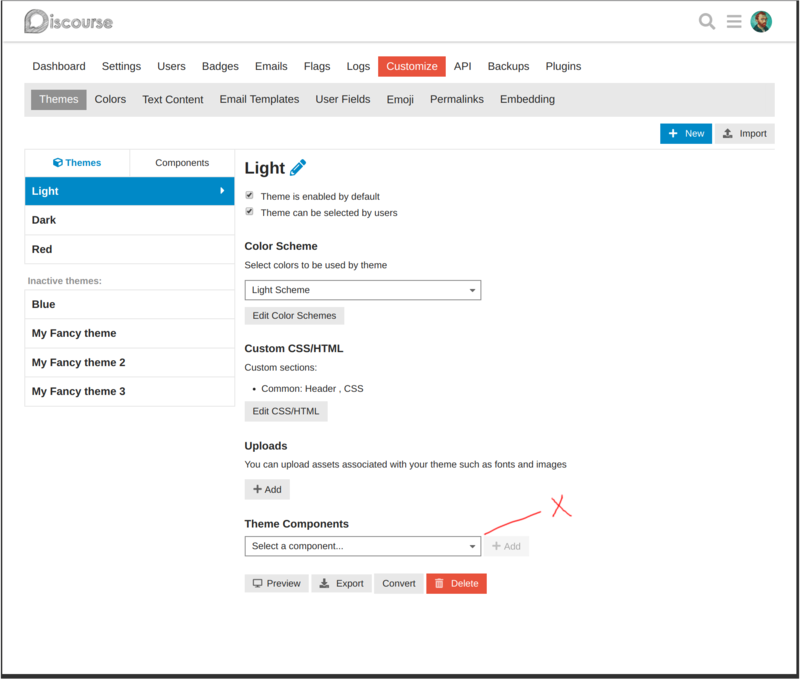 I add a component, and then need to remember to click on 10 different themes to add it. @Johani any ideas for UX here, can you do a new topic on this if you think it is a good idea? This would also apply to newly added themes, right? So maybe some sort of toggle between enable on all themes and disable on all themes?